It's (almost) spring here in the Canadian north. The snowfall has slowed to once/week and it rises above freezing on the regular. To capture the mood, I made my go-to pesto potato salad. A delicious pesto reminds me of summers past, spring peas brighten it all up and the yolk from soft-poached eggs creates a rich, smooth dressing. This potato salad never lets me down & it's a favourite around the easter dinner table. 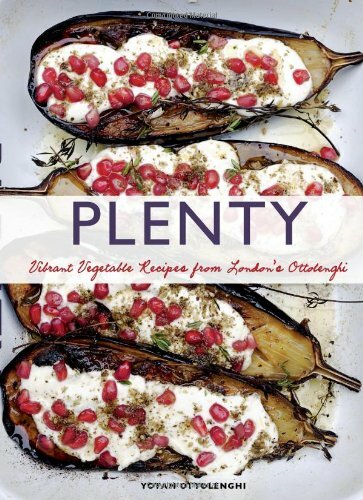 This recipe has only a few modifications from one of my all time favourite cook books, 'Plenty by Yotam Ottolenghi'. If you don't have this cook book, do yourself a favour and pick it up. I have always been a meat man, but this cook book featuring vegetable recipes changed my view entirely. This is one of my staple cookbooks and to date, not a single recipe has let me down. Topping it off, the photography is incredible and it is incredibly well written. I cook from it weekly, it's well worth the money & Amazon will have it on your door in a day or so. This recipe starts out with a great pesto. Predictably, parmesan, basil and pine nuts enter the mix. Added to them is fresh mint, garlic and olive oil. I have to admit that fresh pesto is expensive to make (at least here in Canada). Pine nuts and loads of fresh basil take their toll on the wallet (for those of you with access to cheap, fresh produce, i'm jealous). BUT with pesto, you get a big bang for your buck. You don't need a ton of pesto to pack any dish with loads of flavour. This pesto is great over meat, tossed with pasta ... but it's especially delicious tossed with fresh baby potatoes. To get those potatoes to soak up as much of this delicious pesto as possible, add them while they are still warm and then let them marinate. I like to leave them overnight, but even a couple hours at room temperature will do the trick. The addition of green peas brings a sweet & fresh aspect to this dish and they look fu&*ing awesome. Pine nuts add crunch and a bit of earthiness. Really sending this dish to the next level though? Soft boiled eggs. The rich and silky yolks work with the pesto to make this outstanding dressing. I understand if you're not a fan of eggs, but if you're up for it, the addition really takes this salad to the next level. And with that, we're done. A delicious, fresh and savoury potato salad that will make you a damn superstar. I hope you guys enjoy this recipe, it is hands down my favourite potato salad.